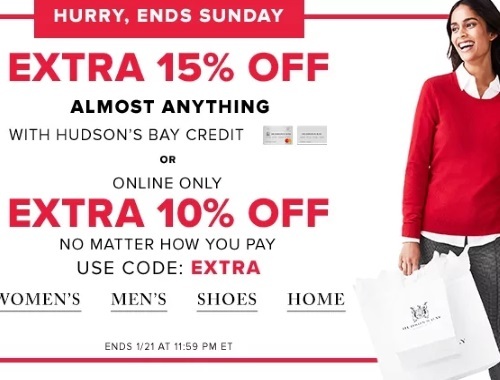 Hudson's Bay is offering a discount promo code this weekend! Enter the promo code EXTRA at checkout. Offer valid until January 21, 2018 at 11:59pm ET.